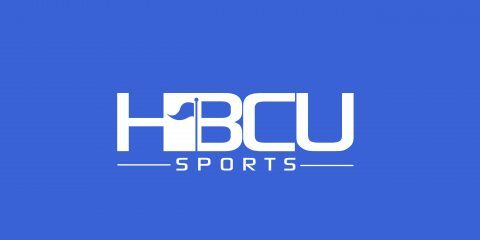 GREENSBORO, N.C. – The defending black college football national champions, the defending Celebration Bowl champions and the defending Mid-Eastern Athletic Conference football champions North Carolina A&T Aggies released the list of games they hope will lead to another special season like the one they had during the 2017 season. Fans can get a preview of Aggies Football in 2018 with the annual Blue-Gold Spring Game scheduled for 1 p.m., Saturday, April 7 at Aggie Stadium. Nonconference play ends with a rematch against Gardner-Webb on Sept. 8 in the 2018 home opener at Aggie Stadium. The Aggies were 45-3 winners over the Runnin’ Bulldogs last season in Boling Springs, N.C.
N.C. A&T will get a week off before opening conference play against the Morgan State Bears on Sept. 22 at Aggie Stadium. The game will not count against either team’s overall conference record because neither school had Hampton on their 2018 schedule. Therefore, the nonconference A&T/Morgan matchup will mean each MEAC school plays seven conference games in 2018. Sat, Apr 07 Spring Game Aggie Stadium 1 p.m. Sat, Sep 08 Gardner-Webb Aggie Stadium 6 p.m. Sat, Sep 22 Morgan State * Aggie Stadium 6 p.m. Sat, Sep 29 South Carolina State * Aggie Stadium 1 p.m. Sat, Oct 13 Florida A&M * Aggie Stadium 1 p.m. Sat, Oct 20 Bethune-Cookman * at Daytona Beach, Fla. 4 p.m. Sat, Nov 03 Norfolk State * Aggie Stadium 1 p.m. Sat, Nov 17 North Carolina Central * at Durham, N.C. 2 p.m.